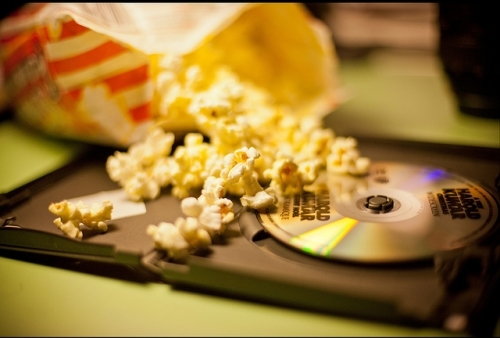 As the entertainment industry continuously moves to digital viewing, DVDs are becoming less popular. But many users still like to keep a DVD collection of their favorite movies for many reasons: offline viewing, watching movies during a road trip, let their friends borrow, etc. For this reason, many users find it is easiest to download movies from online sources, then burn them to DVDs using popular DVD burning software. In this article, we will take a look at how you can find your favorite movies, how you can download these movies safely without the fear of viruses or malware, and how to burn these movie files to DVD. The first step to creating your own DVDs is downloading the movies. It's simple enough to download the movies, but where to download the movies from is another issue. Downloading from piracy websites exposes your computer to serious threats such as viruses, malware and spyware. Users that upload files to these sites will often insert malicious code, viruses, malware or other types of web threats in order to steal information from people who download these files and execute them on their computer. However, there are many valid sites that scan all files as users upload them. These sites include YouTube, DailyMotion, Vimeo, SoundCloud, Flickr and more. The only problem is that most of these sites do not provide users with the ability to download content from their sites. However, there are third-party video downloaders that will provide users with that ability. You must be careful when choosing a video downloader, as most of these applications are freeware, and the developers may insert viruses, malware or other malicious code. This is why it is important to choose a video downloader that is well-known and has references from other users. Our favorite choice for this is the 4K Video Downloader. The 4K Video Downloader is one of the most popular video downloaders, and part of this is due to its reputation for quality, reliability and that it is guaranteed to be 100% virus-free. Another reason is because it is free and simple to use. When you find a movie you wish to download, you simply copy the URL and paste it into the program, and it will do the rest. There are a few options you can choose from, such as the file location and the quality of the video (low quality, medium quality, HD or 4K UltraHD). Save the file to your computer or laptop, and you will then be ready to burn the DVD. Once you have downloaded your movie, it's time to burn the DVD. There are many choices that allow users to burn 4K content to DVD including DVD Creator and Real Player. Follow the simple burning instructions, and you will soon be enjoying your DVDs. Now you can use them as backups, watch them on long trips or flights, or watch them when there is no internet access available. Read next: Update in our help section: new how-tos for music and video amateurs!